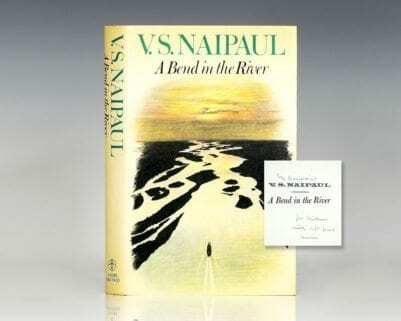 Raptis Rare Books carries a variety of rare and antique books including many signed or autographed books. If you’re looking for a particular piece of work with an authentic signature, you’ve come to the right place. Browse our collection of autographed books here & contact us for any questions! Hawking, Stephen W.; Introduction by Carl Sagan. A Brief History of Time: From the Big Bang to Black Holes. First British edition and true first of Hawking’s groundbreaking work. Octavo, original cloth, illustrated by Ron Miller. 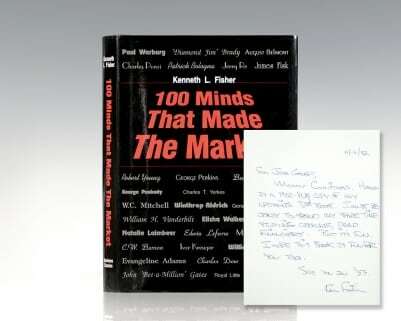 Signed by Carl Sagan on the half-title page, who wrote the introduction. Additionally signed and inscribed by the illustrator Ron Miller, who has also added a drawing. Sagan tells the following story: Sagan was in London for a scientific conference in 1974, and between sessions he wandered into a different room, where a larger meeting was taking place. “I realized that I was watching an ancient ceremony: the investiture of new fellows into the Royal Society, one of the most ancient scholarly organizations on the planet. 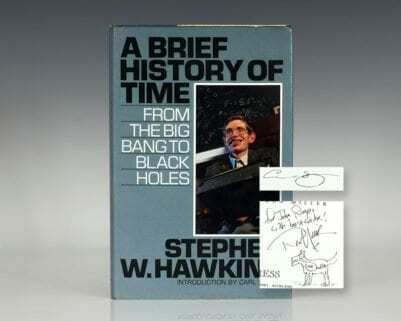 In the front row, a young man in a wheelchair was, very slowly, signing his name in a book that bore on its earliest pages the signature of Isaac Newton… Stephen Hawking was a legend even then.” In his introduction, Sagan goes on to add that Hawking is the “worthy successor” to Newton and Paul Dirac, both former Lucasian Professors of Mathematics. Fine in a near fine dust jacket with light rubbing. Rare and desirable signed. First edition of Burgess’ classic novel. Octavo, original black boards, titles to spine in gilt. 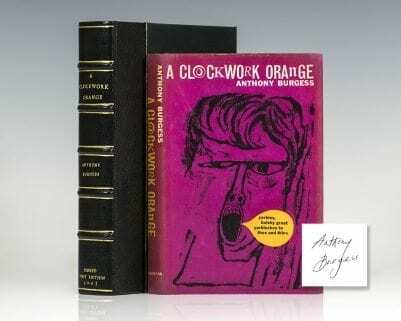 Signed by Anthony Burgess on the title page. An excellent example with some toning to the page edges in a near fine professionally repaired dust jacket and with the wide flaps showing light wear to the spine extremities. Housed in a custom half morocco clamshell box. Jacket design by Barry Trengrove. Rare and desirable signed. 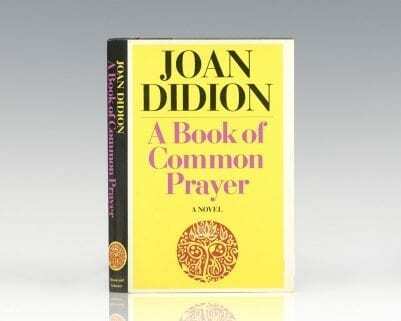 First edition of Burgess’ landmark novel. Octavo, original black boards, titles to spine in gilt. Association copy, inscribed by the author under his legal name and pen name on the front free endpaper in the year of publication, “To Dr McMichael—a substitute appendix from John B. Wilson “Anthony Burgess” June 1962.” The recipient, John McMichael had treated Burgess’ wife after a suicide attempt, and the author would later dedicate his 1966 novel Tremor of Intent to him. Near fine in a near fine first issue dust jacket with the wide flaps. Housed in a custom clamshell box. Jacket design by Barry Trengrove. This is the first example we have seen or heard of bearing his real name; an exceptional example.